Combine pie crust ingredients. Divide dough in half. Press half of dough into a 9-inch pie plate. Roll out remaining dough for lattice work on top of pie. Coat apple slices with honey and cinnamon. 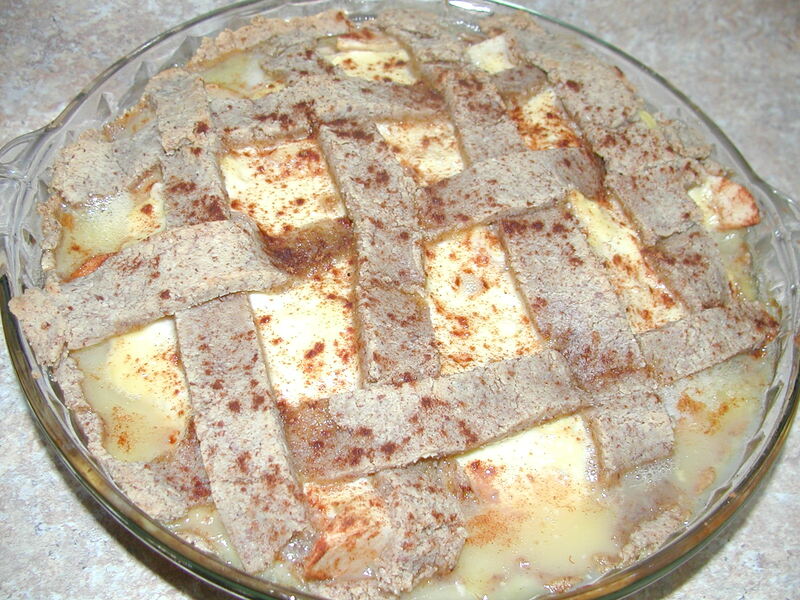 Place apple mixture on top of unbaked pie crust. Mix cream cheese layer and spread over apples. Top with reserved unbaked pie crust lattice work. Sprinkle with cinnamon. Bake at 350 degrees for about 30 minutes. Makes one pie. Cool. Enjoy!